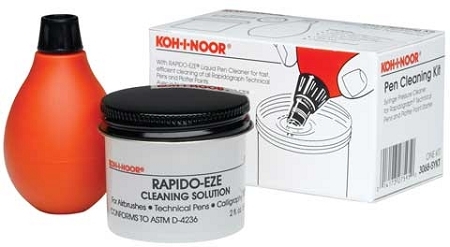 For cleaning drawing points in technical pens, this kit uses squeeze pressure to clean pens. It comes with a plastic syringe, threaded connector and 2 oz. jar of Rapido-Eze cleaner.